IT'S BEEN ONE YEAR SINCE OUR FIRST E-NEWSLETTER! While Taking Care Of Everyone Else! Please join our new Caregiver Support Group for an opportunity to share your feelings, receive emotional support, and discuss solutions to common caregiver challenges with other family caregivers. Starting October 4th, at Nutley Family Service Bureau, 172 Chestnut Street, (2nd floor), Nutley, NJ 07110. Please call NFSB at (973)-667-1884 to register. This group is FREE and will be facilitated by Patricia Politi, LCSW. 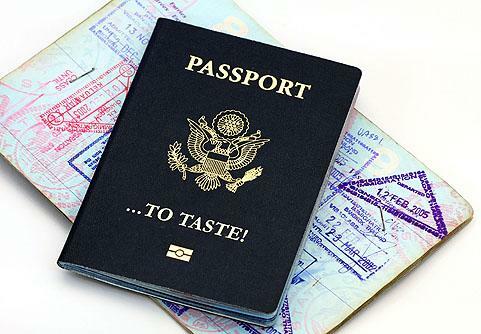 DON'T FORGET YOUR PASSPORT... TO TASTE! NFSB is partnering with Nutley Park ShopRite to bring you Passport to Taste, a unique event of sweet and savory menu samples and information to culinary roads less traveled. Registered Dietitians, Stephanie Bini and Rebecca Zeltmann will guide the tour of creative tasting flights of foods to arrive at interesting and novel culinary destinations. In appreciation to our supporters, this event is free of charge, but registration is required and seating is limited. Crop Walk for Hunger is sponsored locally by Vincent Methodist Church and CWSglobal.org. 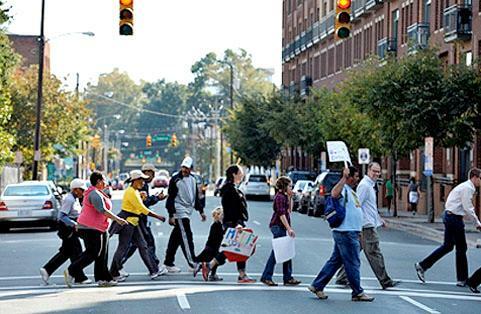 The 1-hour walk supports food pantries and feeding programs in Nutley and around the world. Walkers commit to completing the walk (rain or shine) and collecting donations from sponsors before or after the event. NFSB gratefully acknowledges the proceeds that directly benefited our Food Pantry from last year's Crop Walk. We look forward to participating in this year's Crop Walk. NFSB GIVES A BIG SHOUT OUT TO SPRING GARDEN SCHOOL! Many thanks for the Spring Garden School PTO's 100th Anniversary Celebration support of the NFSB Food Pantry. It was a wonderful event featuring remembrances across generations of SGS alumnae, current students and their families. 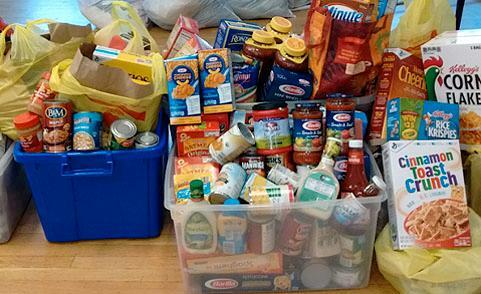 In true community spirit, hundreds of nonperishable items were collected. Food donations will continue to be accepted at the NFSB annex at 169 Chestnut Street until renovation of the building begins sometime this fall.